Inspired by 1920s wristwatches, the simple but striking East West is a driver’s watch, with a 90 degree rotation of the dial. 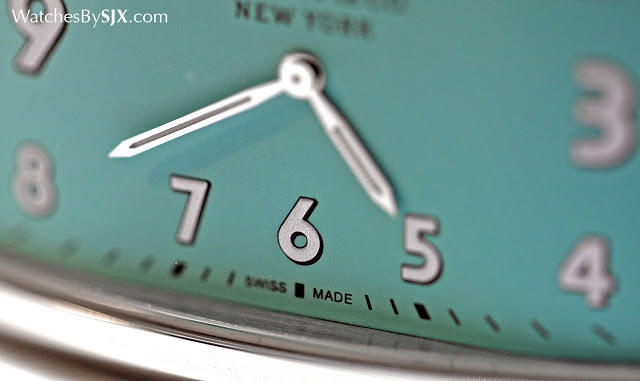 The dial colour options now includes Tiffany Blue, the trademarked shade that’s synonymous with Tiffany & Co. Far from subtle, the new East West is nonetheless quite compelling on the wrist. The Tiffany Blue East West joins the black, silver and blue versions introduced earlier in the year, along with the flagship CT60. 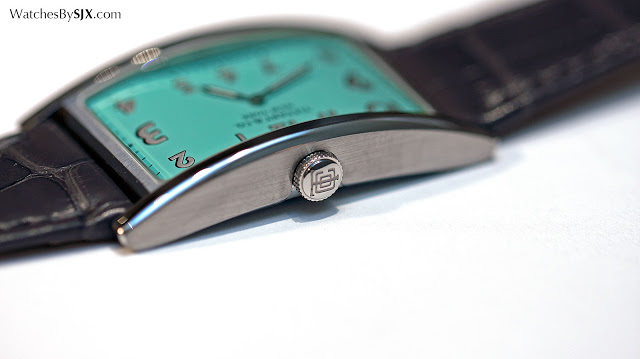 While all of the other recent watches from Tiffany’s are conservatively styled, arguably lacking a distinct identity, the new East West is unashamedly Tiffany & Co.
Colour notwithstanding, the new dial is finished similarly to the others, with poudre numerals. French for “powder”, poudre refers to the lacquer impregnated with silver powder used to print the numerals, giving them a fine, granular texture that’s visible only up close. 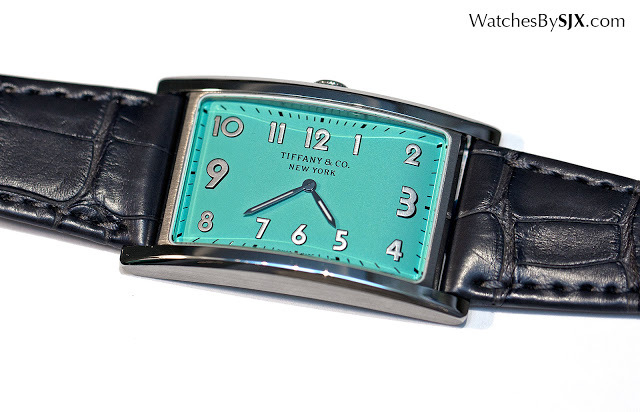 The texture adds to the vintage feel of the watch, complimenting the pencil-shaped hands. 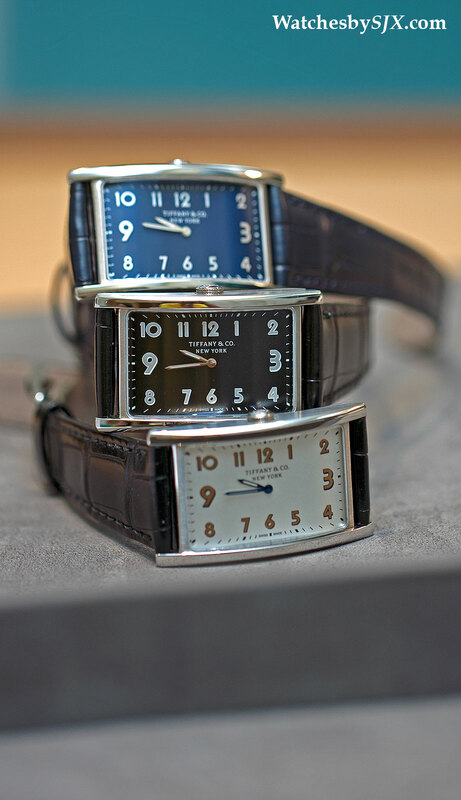 Case dimensions remain the same, at 25 mm wide and 42 mm long. 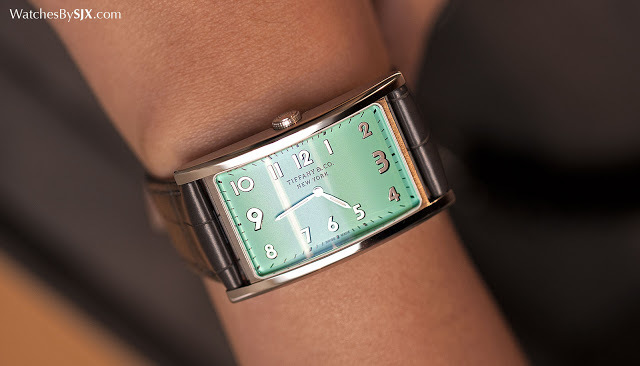 Though sizeable, the slimness and narrowness of the case makes it more suited as a ladies’ watch. Inside is a no-frills quartz movement – this watch relies only on its looks to succeed. 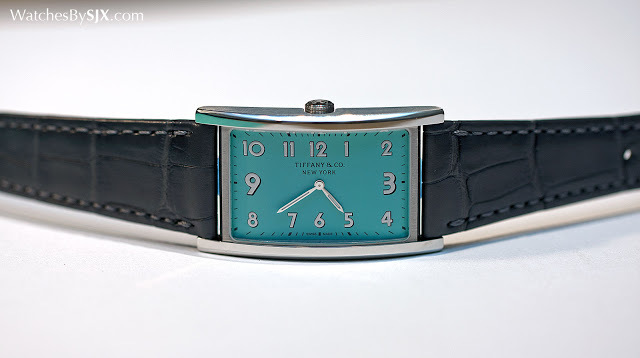 That being said, Tiffany has hinted a men’s version of the East West with a mechanical movement is in the works. The price is USS$3500, or S$5100 in Singapore, the same as the other East West variants.